The City of Mission Viejo's Capital Improvement Program (CIP) provides for construction, improvement, and maintenance of various public facilities. Projects fall into one of four major categories: General Infrastructure; Roadway Rehabilitation; Transportation Systems/Traffic Capacity; and Parks, Recreation, and Municipal Facilities. There are two major phases to each project: Design and Construction. Following are the CIP projects for 2019. This project will replace standard traffic signal safety light fixtures with more energy-efficient LED fixtures. The project will replace a total of 145 fixtures in the San Diego Gas & Electric (SDG&E) territory of the City (south of La Paz Road) with the work partially funded by rebates and incentives from SDG&E. The Residential Resurfacing Program is an annual program for removing and replacing deficient concrete and asphalt and resurfacing public streets in designated residential areas. This program is operated on a 7-year cycle. The streets for this year's project have not yet been determined. To learn when your street is scheduled to be resurfaced, view the City's Residential Resurfacing List. This project replaced deficient concrete curb, gutter, sidewalk, driveway aprons and access ramps, as well as deficient sections of asphalt pavement, followed by an asphalt rubber hot mix overlay of the entire roadway. The City was awarded $500,000 in Arterial Pavement Management Program grant funding from OCTA/Caltrans and $145,000 in grant funding from the California Department of Resources Recycling and Recovery (CalRecycle) Rubberized Pavement Grant Program for the completion of this project. 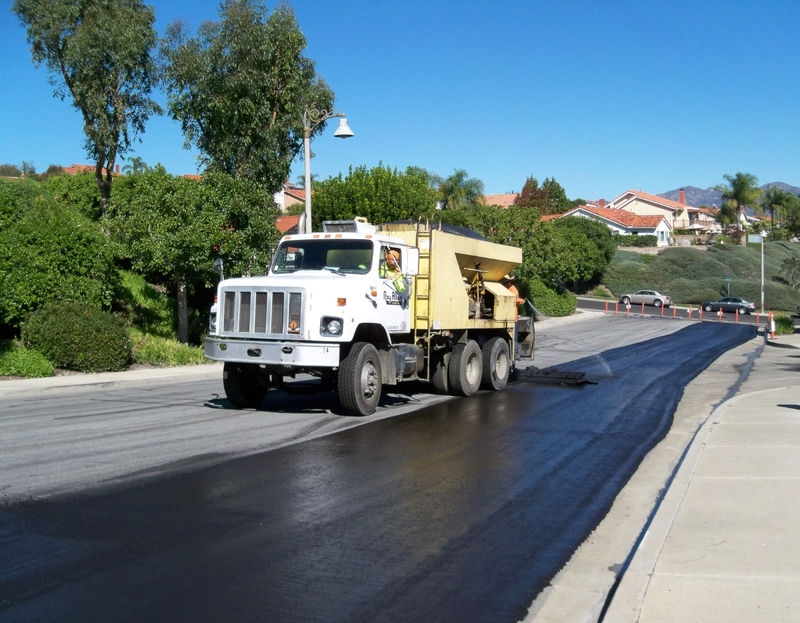 Use of rubberized asphalt concrete hot mix for the roadway pavement surface on this project diverted approximately 23,100 California passenger tires from the waste stream. This project will widen La Paz Road from four to six lanes between Chrisanta Drive and Muirlands Boulevard. It will include the widening of the existing bridges, which cross over the railroad tracks. This project will provide additional turn lanes to improve intersection operations and ease traffic congestion, as well as landscaping to improve the appearance of the intersection. Designer: Stantec Consulting Services, Inc. This project will widen the northbound freeway on-ramp from one lane to two lanes at Oso Parkway to where the on-ramp currently is two lanes wide. Based on funding from Measure M2 grant funds, the City is working with OCTA and other agencies on regional projects to synchronize traffic signals along major arterial corridors. Improved synchronization plans have been implemented on Crown Valley Parkway, Felipe Road/Olympiad Road, Jeronimo Road, La Paz Road, Los Alisos Boulevard, Marguerite Parkway, Muirlands Boulevard, Oso Parkway, Santa Margarita Parkway, and Trabuco Road. The Alicia Parkway and El Toro Road corridor efforts are currently underway. The Los Alisos/Santa Margarita intersection improvement project will provide a second left-turn lane for the northbound direction of Los Alisos Boulevard to improve intersection operations and ease traffic congestion. Playground area to be renovated and updated to include new play equipment, site amenities, LED energy-efficient lighting, and ADA access.